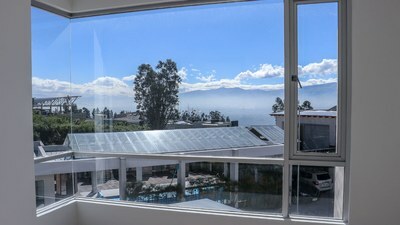 #12 Anantara: Exclusive Condo for Sale in Cumbayá, one of the best areas to live outside of Quito! In Condo #12 in the ANANTARA community, you will have everything you need to live with the best quality of life with all of the comforts in the middle of the natural landscape of Cumbayá. ANANTARA offers houses and condos in this privileged area, and all of the units have spectacular views of the surrounding mountains and valleys. As soon as you step onto the grounds of this exclusive community, you will immediately feel the peach and tranquility of being in the middle of nature, combined with the feeling of security from a being in a private community with guarded entrances. The layout of the spaces in this suite is unique, with a large bedroom and an ensuite bathroom, living/dining room, a guest bathroom, kitchen, and washroom. This condo also has an outdoor storage room, and one covered parking space. 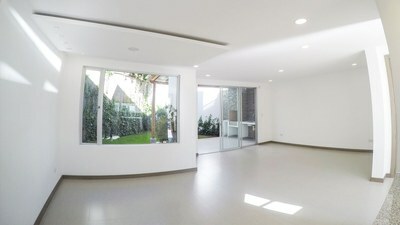 #9 Anantara: Exclusive Condo for Sale in Cumbayá, one of the best areas to live outside of Quito! In Condo #9 in the ANANTARA community, you will have everything you need to live with the best quality of life with all of the comforts in the middle of the natural landscape of Cumbayá. ANANTARA offers houses and condos in this privileged area, and all of the units have spectacular views of the surrounding mountains and valleys. As soon as you step onto the grounds of this exclusive community, you will immediately feel the peach and tranquility of being in the middle of nature, combined with the feeling of security from a being in a private community with guarded entrances. The layout of the spaces in this suite is unique, with a large bedroom and an ensuite bathroom, living/dining room, a guest bathroom, kitchen, and washroom. This condo also has an outdoor storage room, and one covered parking space. 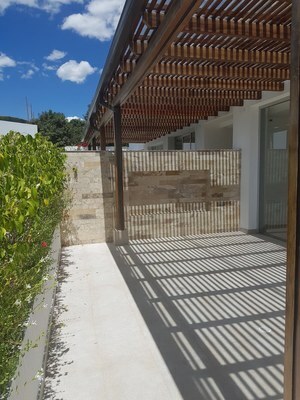 #4 Anantara: Exclusive Condo for Sale in Cumbayá, one of the best areas to live outside of Quito! In Condo #4 in the ANANTARA community, you will have everything you need to live with the best quality of life with all of the comforts in the middle of the natural landscape of Cumbayá. ANANTARA offers houses and condos in this privileged area, and all of the units have spectacular views of the surrounding mountains and valleys. As soon as you step onto the grounds of this exclusive community, you will immediately feel the peach and tranquility of being in the middle of nature, combined with the feeling of security from a being in a private community with guarded entrances. The layout of the spaces in this condo is unique, with a large 3 bedrooms, 2 bathrooms, living/dining room, a guest bathroom, kitchen, and washroom. This condo also has a beautiful private garden of 1069 sq. ft., an outdoor storage room, and 2 covered parking spaces.